Positron Emission Tomography/Computed Tomography (PET/CT) is an innovative imaging procedure that combines the best of PET and CT imaging to create exceptionally detailed images. The highly sensitive PET scan is available at our state-of-the-art Los Angeles facility and detects the metabolic signal of actively growing cancer cells in the body and the CT scan provides a detailed picture of the internal anatomy that reveals the location, size and shape of abnormal cancerous growths. Alone, each imaging test has particular benefits and limitations but when the results of PET and CT scans are "fused" together, the combined image provides complete information on cancer location and metabolism. PET/CT scan is especially useful for diagnosing and treatment planning for cancer and has also been shown to be useful for brain disorders and heart conditions. Patients may need to fast for a period of time before the scan. Patients are injected with a radioactive tracer about 45 minutes before the procedure. Then the patient is positioned on a narrow table that glides into the PET/CT scanner for about 45 minutes. The process may take up to two hours, depending on the particular procedure. Whole body PET scan helps doctors identify and localize abnormalities, particularly cancer, faster than ever before and this specialized scan is available at our Los Angeles facility. Not only can PET/CT identify the location of an abnormal mass, but it can help determine if the cells are cancerous or not and if enlarged lymph nodes are malignant or benign. PET/CET is commonly used for staging cancer when it is first diagnosed, and to monitor tumor response to chemotherapy and radiation therapy treatments. 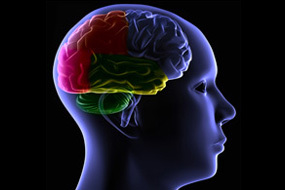 A PET/CT scan provides detailed brain mapping. PET/CT is approved for the assessment of dementia and Alzheimer's disease. The PET/CT scans maps patterns of metabolic activity in the brain; meaning, where the brain is using energy for functions. Certain maps are associated with dementia and Alzheimer’s disease. Optima Diagnostic Imaging provides expert Alzheimer's screening here at our private Los Angeles imaging center. The results of PET/CT can help determine which patients with Alzheimer’s disease may benefit from medication to help slow the progression of the disease. What Can a CT Scan Diagnose? A PET/CT Scan is an advanced test that combines two technologies to assist medical professionals identify a range of diseases and abnormalities. At Optima Diagnostic Imaging, our state-of-the-art facility provides doctors and their patients the most advanced testing methods available, including CT scans to assist in the diagnosis or treatment of many illness and conditions. The test measures critical body functions, and may be ordered by your doctor to detect cancer, the spread of cancer, evaluate how well a cancer treatment is working, determine how well the blood is flowing to the heart, evaluate the damage to the heart muscle after a heart attack, or to evaluate brain abnormalities and a wide range of other physical issues. Depending upon the area of the body being tested, the time of the test will vary. Typically, the longest CT scan will be completed within an hour and a half, while others require much less time. In CT scans with contrast, an intravenous tracing material is put in your body to assist in producing a clearer image. It is vital that your physician is aware of any allergies associated with the contrast material, to iodine, or to seafood generally. You will be required to remove jewelry, glasses, dentures, and other objects that could affect the scan. The CT scan unit is a large machine with a tunnel in the center. An exam table slides in and out of the unit. You will lie on this table, which slides into the unit for the test, in which images are transmitted to a computer and saved for a radiologist to evaluate when complete. CT scans are painless. You will be comfortable on the scanner bed, and may be propped sideways with pillows, or lie on your back or stomach. Your comfort is always important to the technicians at Optima Diagnostic Imaging. You may have straps to hold your body in position, and will be asked to remain very still. During the scan, you will hear buzzing and clicking as the scan is performed. You may be asked to hold your breath for a moment at certain times so the images are not blurred. The PET/CT center at Optima Diagnostic Imaging has been awarded accreditation after a comprehensive review performed by the American College of Radiology (ACR). 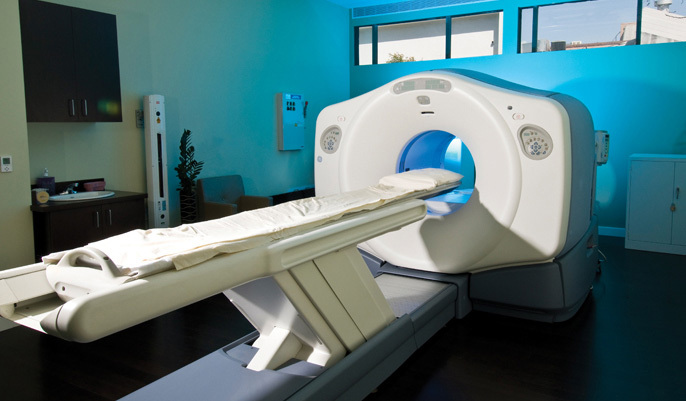 This certification confirms that our center meets rigorous standards for practice in PET/CT.